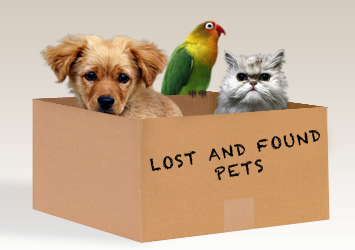 Jefferson County Pet Food Pantry : Lost or Found a Pet? Read This! Lost or Found a Pet? Read This! ATTN: Due to the intense storms we have had the last few days, ALL of the local shelters are FULL of lost animals. I am posting this again hoping if you or someone you know are missing a pet, you'll know where to look. Lets get these kids back home!! Most animals in the JeffCo region end up at Jefferson County Animal Control; they are located at 7105 Shelter Rd., Barnhart, MO 63012. Call 636-797-5577 and visit their links posted below. If you find a pet: If the animal is wearing a tag with a phone number, call the number. If you can’t reach them, leave a message. If they don’t respond soon, send them a text (a lot of people will not answer unknown calls). Put a signs in your yard and surrounding areas “found pet, must identify”. Be careful handing pets over without proof of ownership or ask for identifying markings. Also, good to post ‘found pet” on the below lost/found pages. There are times when a Good Samaritan finds a lost animal. Rather than taking the pet to the closest shelter, the finder decides to go to a shelter further. One reason finders do this is because they feel the animal will fare a better chance of not being put to sleep due to overcrowded shelters. Sometimes, the finder may also wait to reach their destination of their travel to drop off the found pet. To locate a lost pet: We highly recommend that you visit IN PERSON the following shelters and animal control facilities. Unfortunately, due to the number of incoming animals each week at our local shelters, it is not possible for our shelter employees to remember each animal's face, details, where the animal was found, etc. While one person may label a dog as a shepherd mix, another may label the same dog as a lab mix. Therefore, it is best for you or a representative of your family visit all of the animals in the various shelters. Many shelters have what is called the adoption floor vs the stray hold area. Please be sure to check both areas! Many times people think if they take an animal to the Animal Protective Association (APA) or the Humane Society, they'll have a better chance of surviving than at a government animal control. Yes even all the way from Jefferson County and beyond. So check both of those places.